It has been a month of significant events around the world that should cause us to stop and think about diversity in New Zealand. I’m referring to the Brexit vote in the UK, the shootings of citizens and police officers in the United States, and to the recent carnage in Nice, France, and elsewhere. A combination of globalisation and fibre optic cables mean that now, more than ever before, we are connected to what happens elsewhere in the world – to the point where it feels like these events are happening in ‘our backyard’. So while New Zealand is physically distant from these events, it is a good discipline to ask ourselves - what can we learn from them? Globalisation has seen borders opened as never before, as countries look to attract skilled migrants or supplement their workforce. We have seen patterns of large scale migration emerge as people go in search of work and better opportunities for their families, or simply in search of freedom. These changes have been largely driven by economic imperatives and they have happened quickly – possibly beyond the ability of societies to adjust to the implications of these changes. Some commentators have even suggested that as a result of large scale migration that we are losing our sense of ‘home’. In the aftermath of Brexit it became apparent that older UK citizens voted to exit the European Union, at least in part, to reduce the influx of migration into the UK, while younger people may have a greater degree of comfort with what we might now call 'global citizenship'. As these events unfold 'in our living rooms' there is a risk that immigration and diversity will be viewed as a problem and that we will lose sight of the many and real benefits that increased diversity has brought us as a country and as a nation. A more useful framing of these issues comes from Nader Mousavizadeh who co-leads the London based global consulting firm Macro Advisory Partners, who suggests that we need to understand that “the issue before us is integration not immigration”. He goes on to say that "the lived experience in most cities in Europe today is the fact that a pluralistic, multi-ethnic society has grown up here, actually rather peacefully, and it has brought enormous benefits and prosperity. We need to change the focus of the problem – and the solution – from the physical reality of immigration to the political and economic challenge of integration”. Thomas Friedman, who quoted Mousavizadeh in his recent article suggests that the countries that nurture pluralism the best will be the ones that thrive the most in the 21st century. They will have the most political stability, attract the most talent and be able to collaborate with the most people – but it is hard work. In that sense we hold the future of New Zealand in our hands. We need to continually ask ourselves if we are doing enough to ensure that migrants who have, and who will continue to join us, are well integrated and can fully enjoy the sense of belonging which is so essential to calling New Zealand home. If you have any feedback on this update I would like to hear from you - so please feel free to contact me at Maarten.Quivooy@dia.govt.nz. 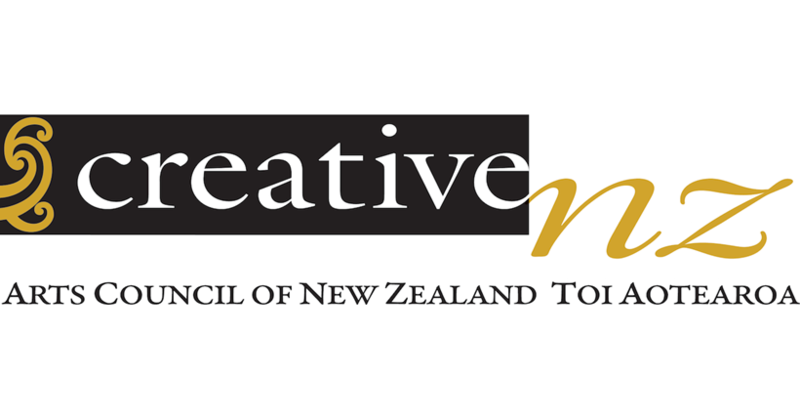 In late July Creative NZ organised a hui at the ANZ Viaduct Centre in Auckland to gather together representatives from central and local government, councils and various arts organisations to address the need for increased diversity in the arts. The key note panel included numerous well known artists including novelist and film critic Helene Wong; Coconet's Lisa Taouma; Artspace director Misal Adnan Yildiz; choreographer Tanemahuta Gray and events organiser Eric Ngan, and the conversation was facilitated by documentary maker Sonia Sly. Various roundtable discussions were also held and these examined the importance of genuine artistic collaboration between organisations and community; how to develop diverse programming to build new audiences; whether diverse staff could lead to greater diversity of work, programs and thinking; how to narrow the gap between mainstream venues (such as Auckland Art Gallery) and community venues; the importance of intern programmes; and the role of ethnic media in connecting to ethnic audiences. There were also three excerpts presented by various projects that had been funded by the Diversity Project (Creative NZ). These included work done by TAPAC called Culture Clash; Mahuika Theatre company - creating mask theatre by communities for New Zealand audiences based on commedia dell'arte (an Italian improvised kind of popular comedy) and also the latest work from PAT (Pretty Asian Theatre). Increasingly, conversations recognised that creating sophisticated, contemporary works that reflected the voices of ethnic New Zealanders (which is part of the much larger Diversity in the Arts policy) is valuable, important and ultimately necessary - to increase a sense of pride, belonging and inclusion but also to retain our profile as one of the top socially progressive nations in the world. An emotional farewell function for Dr Mary Dawson MNZM, Chief Executive, Auckland Regional Migrant Services (ARMS) was held on July 15. ARMS Trust highly regarded Mary's contribution to the organisation as the cornerstone for ARMS for more than a decade. Attendees from various agencies and sectors including central and local government agencies, community services providers acknowledged Mary's commitment and remarkable work to help migrants and refugees settle in New Zealand. The Office of Ethnic Communities has worked collaboratively with ARMS in several projects over the past decade under her leadership, and we will continue our collaboration with them. Mary said, "It has been an absolute privilege to carry out this role for ARMS, over what has been a very significant decade for Auckland, its peoples and diverse communities.” As Mary moves on to the next exciting chapter of her life, taking up a new position, Co-Manager Strategic Community Brokers team, inside the Empowering Communities Unit of Auckland Council. We look forward to fostering our working relationship with her in her new role. 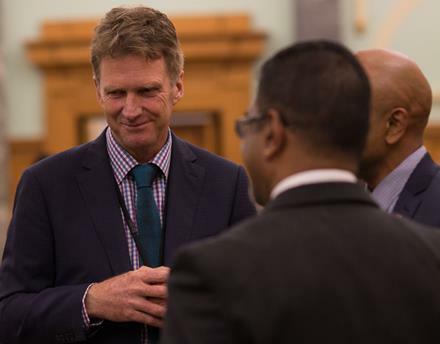 After several months the Christchurch City Council led Multicultural Working Party has published its draft Multicultural Strategy and embarked on a series of public consultations seeking feedback from the public. The Office of Ethnic Communities was pleased to be invited to attend the consultation on 21 July which was hosted by Surinder Tandon, (President of the Christchurch Multicultural Council) for representatives of ethnic and interfaith communities. Surinder emphasised that the strategy was a partnership between council, central government, non-government organizations, host community, religious and ethnic representatives, Tangata Whenua and Pacifica. In his opening remarks Jimmy Chen emphasised that the strategy represents the Council’s desire to make Christchurch a city where diversity is welcomed, embraced and celebrated. The next steps are for the draft strategy to be amended subject to community feedback. Once finalized, work will begin on a 5 year action plan which will focus amongst other things, on accessibility of council services and the maximization and celebration of the social, cultural and economic benefits of diversity. As one of the largest employers in Christchurch Council notes it also plans to explore opportunities to grow cultural competence within its ranks. The proposed strategic vision for future Christchurch is as follows: "Otautahi Christchurch: An Inclusive multicultural and multilingual city that honours Te Tiriti o Waitangi and values our diversity - a city where all people have a sense of belonging. 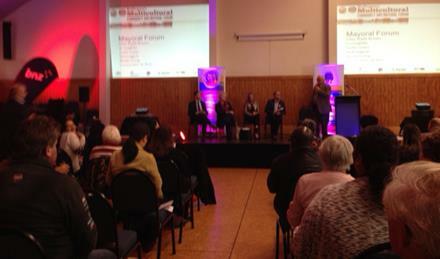 Aroha kit e tangata, te tuapapa o te taone whaimana - respect to all, the foundation of great cities”. Submissions on the draft strategy close on 31 July. If you would like to review the strategy and or make a submission, phone Katy McRae on 03 941 8037. The strategy is available on line in 11 Languages. A fine and chilly day in Johnsonville (one of Wellington's northern suburbs) greeted attendees at The Multicultural Council of Wellington's Mayoral Forum, hosted on Saturday 16 July. The theme of the forum was "can the increasingly diverse population of Wellington add real value to the city’s social and economic success?". Mayoral candidates were given the opportunity to talk about their aspirations for enabling Wellington’s multicultural population to fulfil their potential and fully contribute to the economic and social wellbeing of New Zealand's capital city. Presentations by Statistics NZ about Wellington's ethnic population, New Zealand Trade and Enterprise (NZTE) on how to unlock the diversity dividend within organisations and the importance of a diverse creative sector by Creative New Zealand added depth to the forum. The presentations traversed the changes, impacts and opportunities of an increasingly diverse Aotearoa New Zealand and affirmed our multicultural population can contribute to Wellington's cultural and economic development. The Philippines Ambassador, His Excellency Mr Jesus S Domingo gave an international perspective on community leadership and how migrants can be 'local diplomats', and Sir Anand Satyanand, former Governor General, and Patron of the Super Diversity Council and Chair of the Commonwealth Foundation also spoke at the forum. Performances by the Narukami Taiko Drumming Group and the Philippines Community Choir provided extra colour and entertainment for attendees. The Forum was hosted in collaboration with the Human Rights Commission, Office of Ethnic Communities, Ministry of Social Development, NZ Police, and the Wellington City Council. The Office of Ethnic Communities attended Elder Care Canterbury’s quarterly meeting on 21 July and was keen to hear about the emerging health concerns of the elderly from ethnic communities and the efforts of participating agencies to meet those needs. Facilitating access to services a via culturally and linguistically appropriate services has been a long standing goal of the Christchurch CLING (Community Language Information Network Group) which co- chaired this quarters meeting. Simon Templeton Chair Executive Officer of Age Concern Canterbury spoke on the issues of social isolation and family abuse which affect elderly across all spectrums of society. He also noted that the elderly are as diverse as any group with a wide variety of beliefs and values and cultural norms/fears/behaviours. He also noted that ideally language should not be a barrier to the elderly accessing services and that where possible Age Concern would try to source interpreters for those in need. Yasue Parker from the Japanese Society noted the increasing interest amongst Japanese in retirement options. The New Zealand Chinese Society representative Nancy Goh, echoed this noting particular concern about the capacity of existing retirement homes to host those from different cultural backgrounds. The next meeting will focus specifically on the opportunities and challenges associated with making Canterbury’s health services accessible to ethnic elderly. 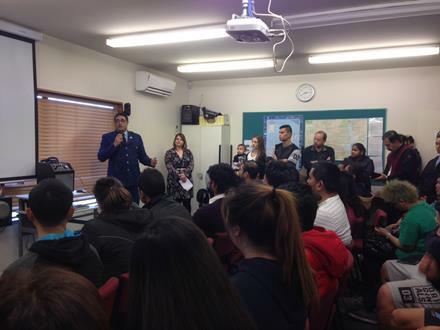 On 16 July, Canterbury Police hosted its recruitment seminar in Christchurch that attracted huge interest from the community with over 250 people. As New Zealand becomes increasingly diverse, it is important that New Zealand Police recruit and maintain a service that reflects this diversity. “New Zealand Police recognises the value of diversity throughout its ranks, and has a strong focus on ensuring its people reflected the communities they serve as much as possible,” said Canterbury District Commander Superintendent John Price. Currently 11.2% of Police officers in the Canterbury district identify with an ethnicity that isn’t European. This is made up of 7.6% Māori, 1.8% Pacific, and 1.2% Asian and 0.6% recorded as other. To ensure police remains responsive to the needs of all New Zealanders the organisation seeks to recruit a broad base of young New Zealanders, in particular women, and Māori, Pacifica, Indian, African and Asian people who are motivated to help their communities. “Police are looking for a diverse range of applicants with different backgrounds and skill sets, and this is reflected in the diversity and calibre of people that come through the training and recruitment process,” said Superintendent Price. One of the speakers at the seminar, Inspector Hirone Waretini, District Manager of Māori, Pacific and Ethnic Services said that it is very important to understand not only the language and culture but also the expectation and needs under their cultures and traditions while serving people. He expected to see a more diverse workforce than ever before in the Canterbury Police to be able to meet the needs from increasingly diverse population in the region from residents, workers, to tourists. The seminar also provided informative presentations and open floor discussion to enable people to understand the application process. There are over 30 careers in Canterbury Police available to apply for. The multi-ethnic dance festival organised by Nepalese Cultural Centre on 23 July 2016 was a grand celebration of colour, music, and dance that kept the 150 plus audience spell bound. Held in the Mount Eden war memorial hall in Auckland, the two-hour event was a grand gala showcasing New Zealand’s cultural diversity in its richness and splendour. Approximately 10 cultural groups including Assyrians, Chinese, Bangladeshis, Nepalese, Spanish, Kurdish, Tamil and Māori participated in the function, providing stunning performances of dance and music. This was the first time that the Nepalese Cultural Centre brought together different cultures to bridge their differences and promote tolerance, love and respect for each other. The Nepalese Cultural Centre is a charitable, non-profit organization, established in 2008. During the past eight years, The Centre has organised several events that have helped kiwis to learn more about Nepalese culture. The objective of the evening was to provide and promote information about Nepalese Culture. The Centre is currently running Nepalese Language classes to all those people interested. To find out more contact them via their facebook page.